Run-out reads "Squidged out of the bank by AFX". 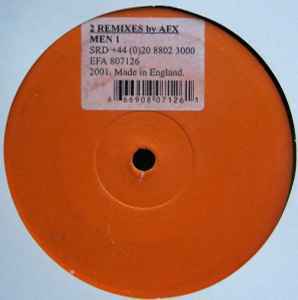 The Rephlex cat# can only be found in the runout grooves. Available in different coloured labels of white, yellow, orange, red and brown. This is the version with the orange label.